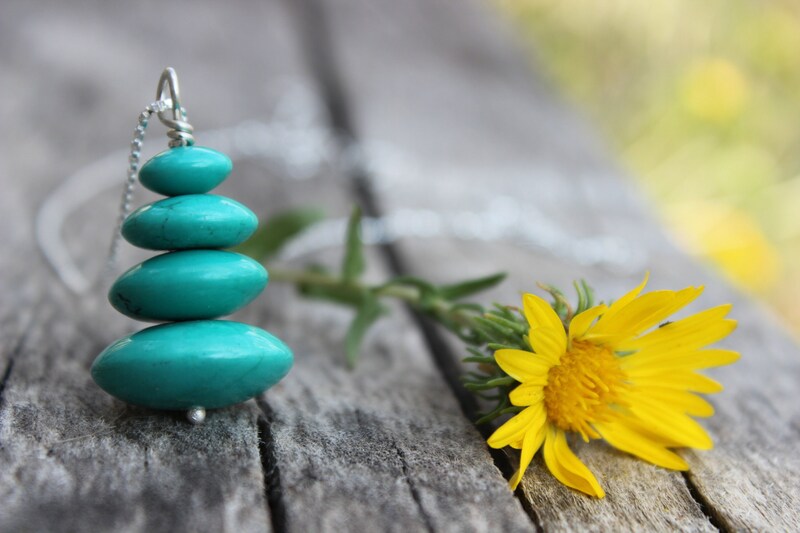 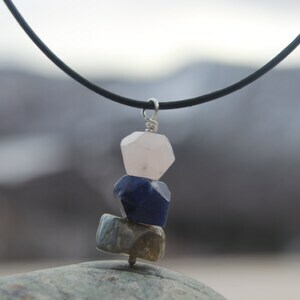 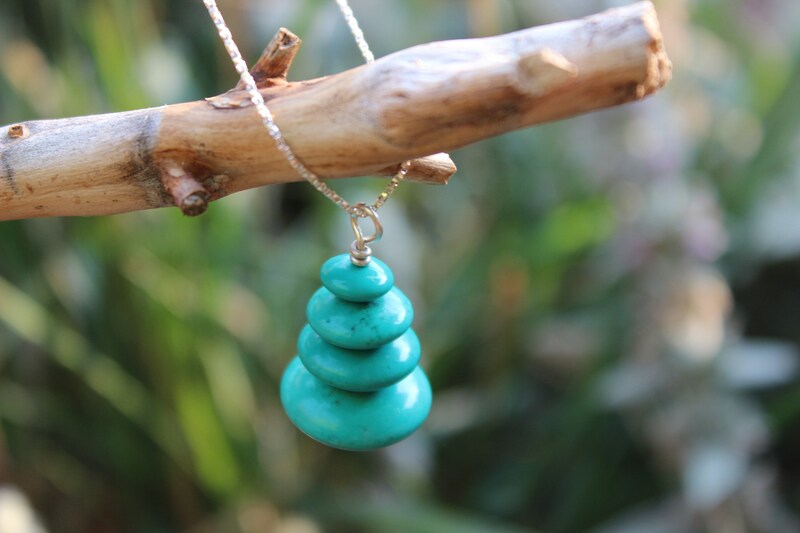 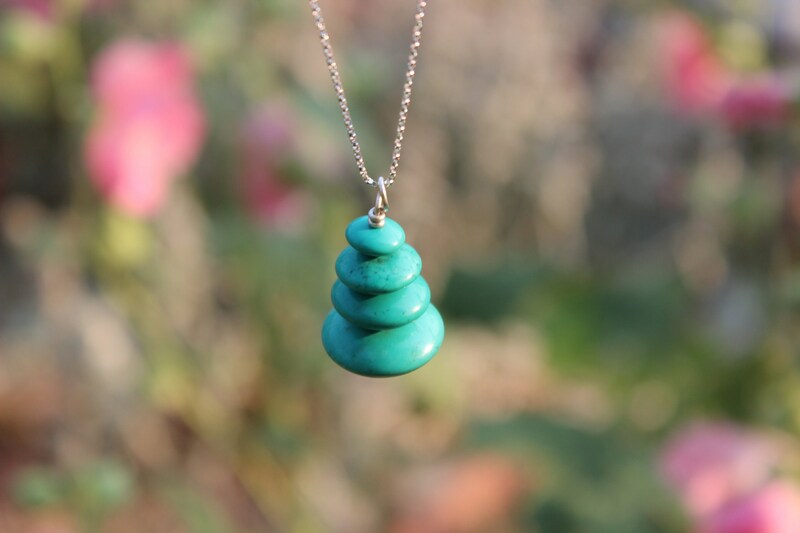 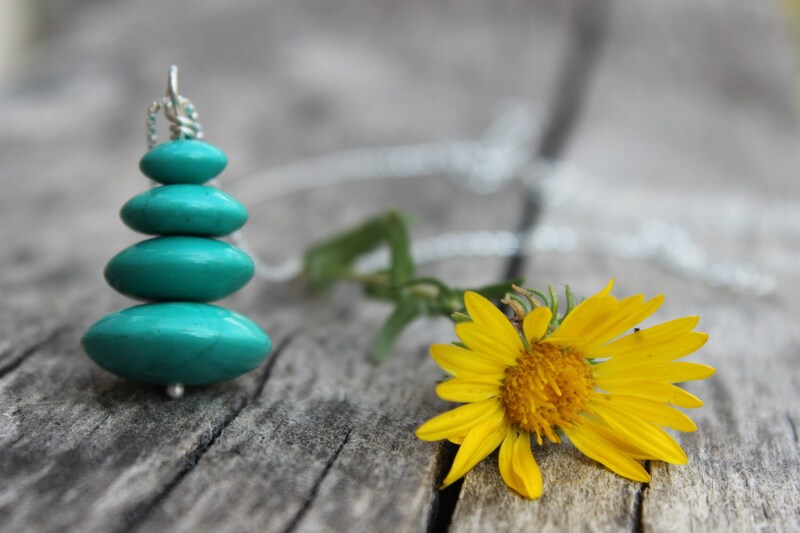 In this piece, a series of premium genuine turquoise stones were used to create a unique cairn pendant. 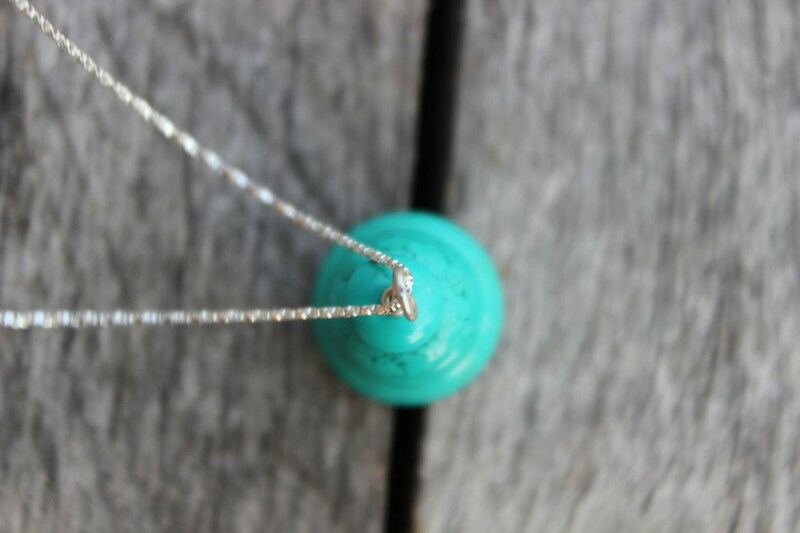 The sterling silver headpin is melted down by my own hands and torch. 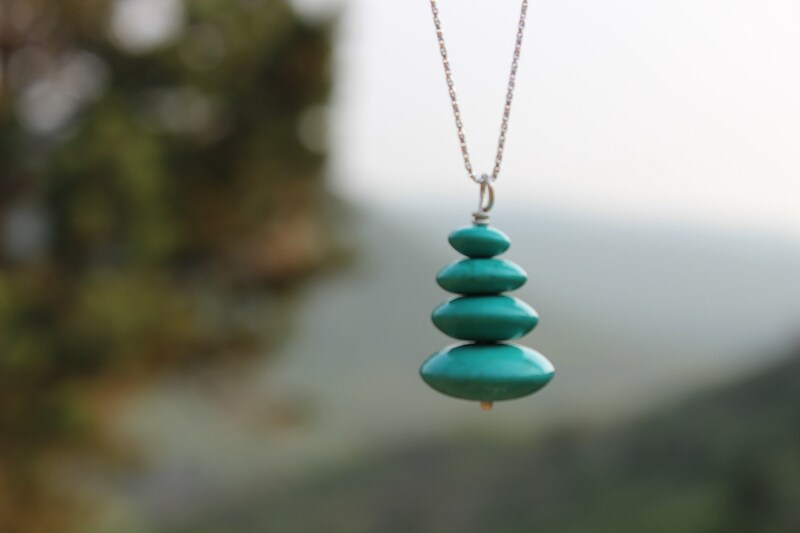 Turquoise promotes leadership and serves as protection. 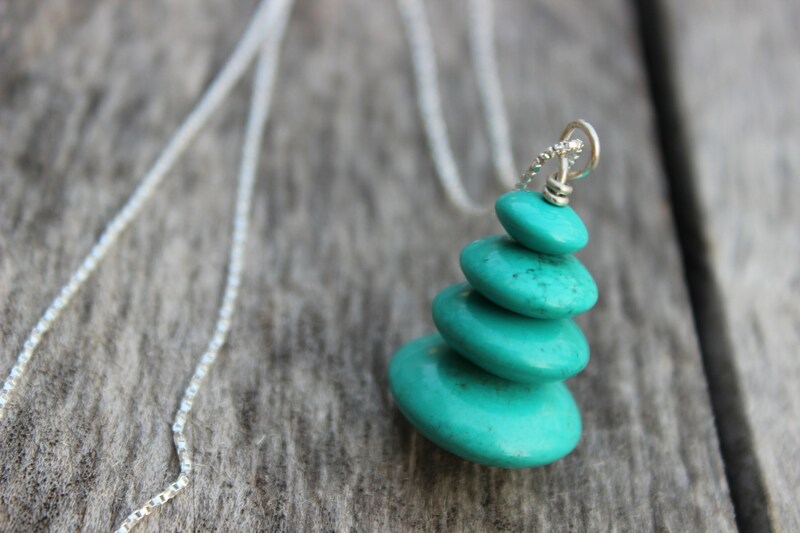 Sterling silver accents this design on an 20" box cut sterling silver chain. 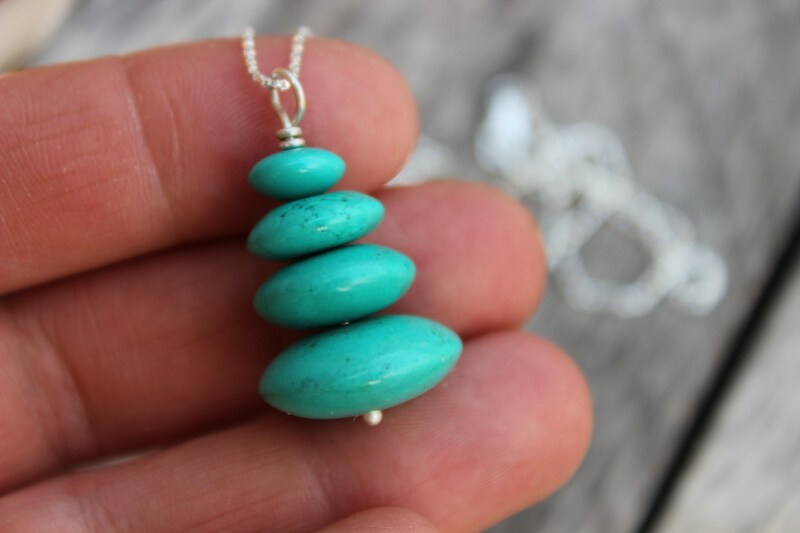 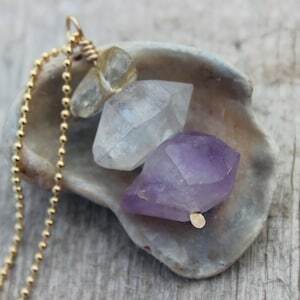 - Your pendant is approximately 1.25 inches (3.175 cm) in length. 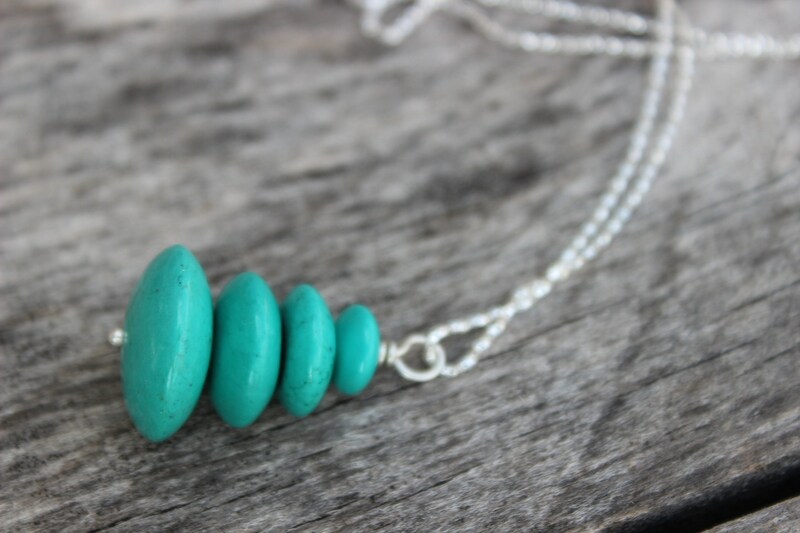 - The sterling silver box cut chain is 20 inches (50.8 cm) long. 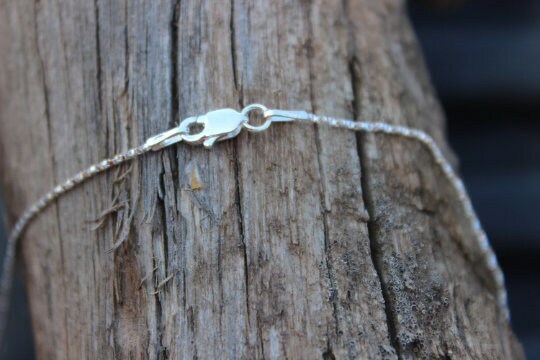 - A sterling silver lobster clasp is used as the closure. 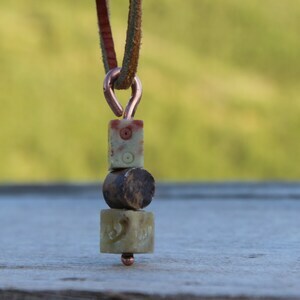 My makers mark jewelry tag is attached to the closure. 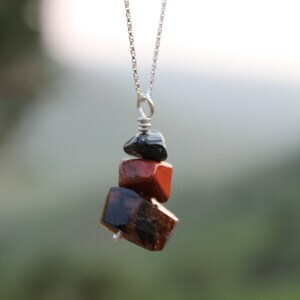 - I carefully choose these combinations of stones for both spiritual influence and aesthetic appearance.